Saoirse Ronan attends The 75th Annual Golden Globe Awards at The Beverly Hilton Hotel on January 7, 2018 in Beverly Hills, California. 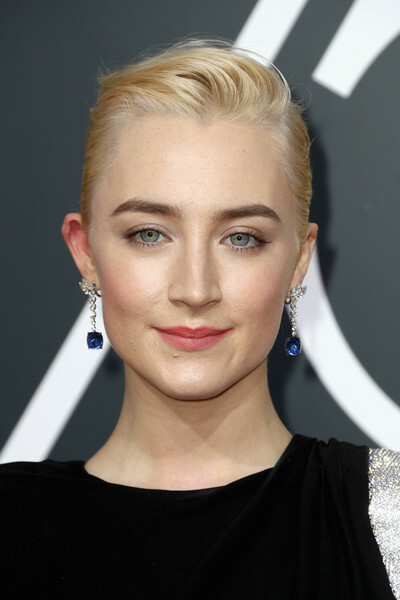 Saoirse Ronan styled her hair into an edgy pompadour for the 2018 Golden Globes. Saoirse Ronan teamed her updo with gorgeous gemstone drop earrings by Cartier.